Every subscription has a main contact, the account owner for the subscription. To update the main contact for your subscription, use Manage Subscription or Contact Us for assistance. Click Manage Subscription at the bottom of the homepage. Enter the username, password, and email address used to sign up, and click Email Subscription Link. Click Update Information, and you will have the options to update the main contact name and primary email address for the account. 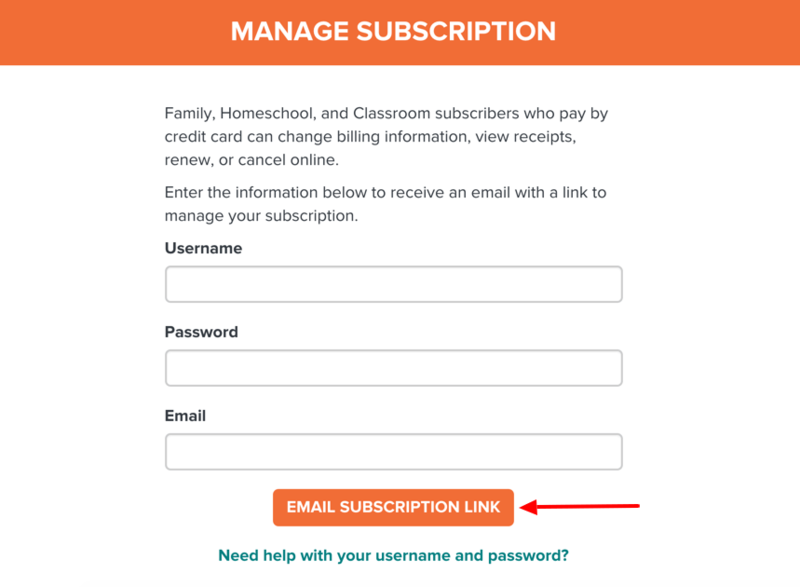 Contact Us to update the primary contact or the My BrainPOP administrator account for your School or District subscription.